Welcome to our oasis in the Candelaria, Bogotás historical center. The newly renovated quality hostel Martinik is located within a walking distance of the main museums, squares, churches and other monuments. 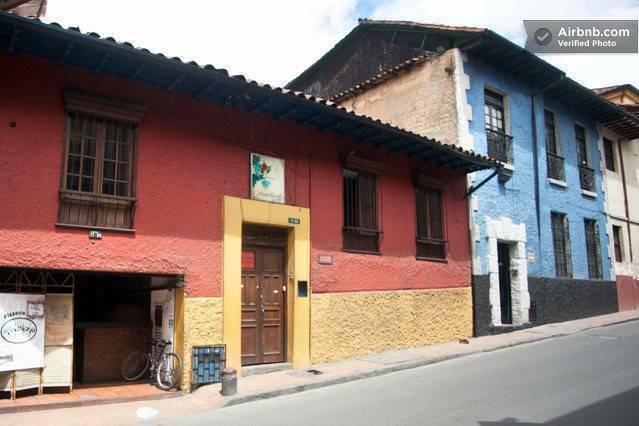 Welcome to our oasis in the heart of La Candelaria, Bogota´s historic district. The newly renovated quality Hostel Martinik is located within a walking distance of the main museums, squares, churches and other monuments. 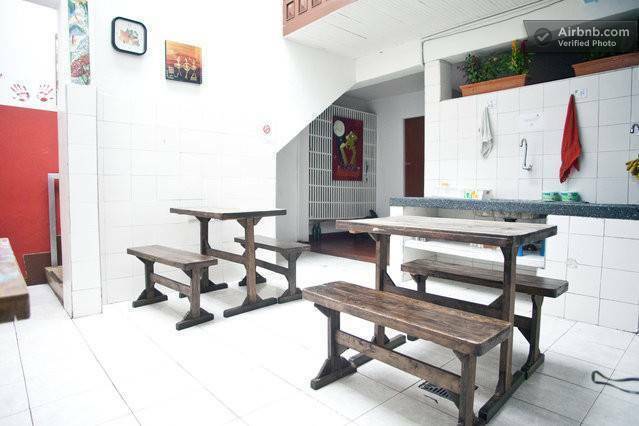 At economic prices, recently renovated, and now under Swiss management, Hostal Martinik offers an ideal and secure place to overnight, relax, and plan your daily Bogota adventure. Here we want you to feel at home. 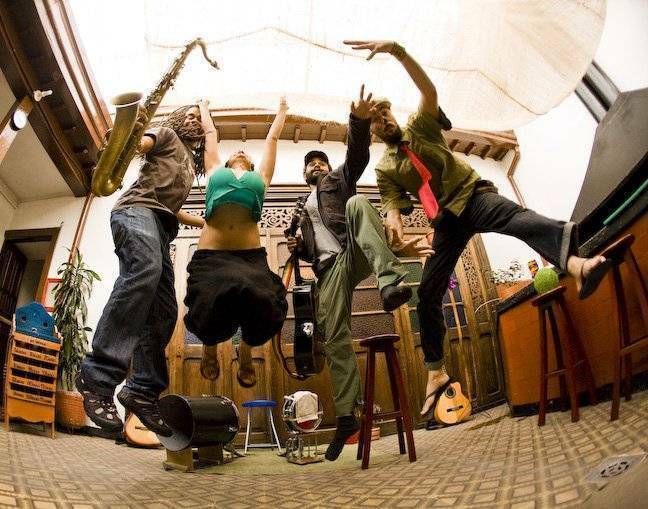 At Hostal Martinik we offer exciting and interesting activities to complement the tours and attractions of the metropolis: Spanish classes, salsa and cooking lessons, a multi-lingual friendly staff, and lots more. 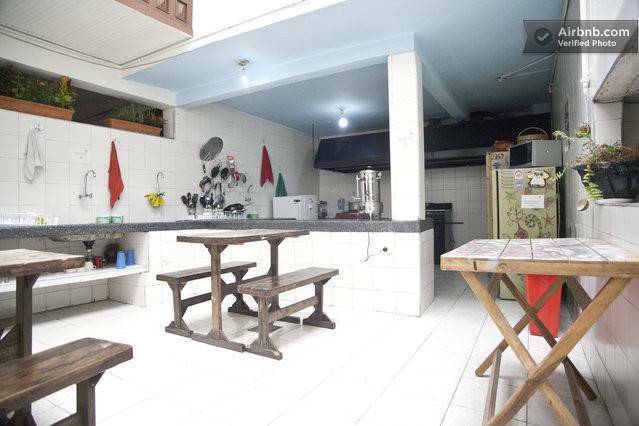 A large fully equipped community kitchen and a huge barbecue for your enjoyment and delight. A variety of drinks, those naturally include a constant supply of world-famous Colombian coffee, as well as herbal teas, and on occasion yerba mate and other exotic blends. A self-service breakfast to get you going each morning, featuring bread, jam, coffee, milk, tea, and granola. Hot steamy showers ... the gateway to starting or ending a day in paradise. Fire protection systems, security cameras, secure entrances, and personal property lockers. Comfortable European-size beds (larger than Colombian standard beds); also European Duvets in private Rooms. Umbrellas, hair dryers, towels, and iron are also available should you require them at any time. Free unlimited local telephone calls, a free internet room with computers equipped with headphones and webcams. Two WiFi access points, providing ample coverage throughout the entire premises, with 4 MB high-speed connections. Plenty of information on Bogotá, including an array of attractions that range from the most traveled tours that you might read about in all guides: museum tours, bicycle tours, night-life outings in party buses, to the less known possibilities. We can complement your travel plans with first-hand information on the mosaic of amazing landscapes and places that Bogotá and Colombia have to offer. A Nintendo Wii with hundreds of games and various controls as well as access to Netflix Cinema Portal and digital TV. A big assortment of board games, tourist maps and traveler guides. A reading room with a library of books and magazines, where you can exchange books and pick up a new read. A lounge with a second digital TV, an extensive collection of DVDs and a high quality doubly surround system. A gas fireplace to cut the edge of the cool nights and enhance the pleasure of exchanging stories with other travelers. We offer a variety of lodging arrangements that range from a queen suite with its own bathroom, to private rooms with shared bathrooms, to rooms with bunk beds to satisfy every need and every budget. You can also purchase beers, drinks, snacks, toiletries, and implements for the BBQ from the front-desk at very low prices 24 hours a day. Additional we have Laundry Service, Notebook rental, International Calls and lots more. We also offer a 10% discount for a stay of over 7 days and a 20% discount for those who volunteer with foundations responsible for providing an array of services for vulnerable children in the surrounding areas. Our spacious common areas, and our staff, always ready to provide excellence in customer service will add to the enjoyment of your experience in Bogotá. Beside with lots of benefits and commission based salaries we support a fair relation ideology to our workers. You are welcome in our family-style hostel. At Hostal Martinik, we are always looking to provide more, better and innovative services, so your suggestions and comments are always welcomed! Our central location, on Carrera 4 No. 11-88, will afford you with ease in your tour and travel arrangements. You can take a taxi from the airport, bus terminal or from anywhere in the city, and say to the driver that you need to go “La Candelaria - Centro, close to Biblioteca Luis Ángel Arango” a well-known landmark in the city, simply give our address and there is no easier place to find, and no safer place to be. Check-in time is at 2:00 pm and check-out time is at 11:00 noon, but of course you are welcome to stay in our common areas and even take a nap in our hammocks, or leave your bags in our locked storage room, until the time of your flight or bus departure nears, before you bid us Adios! 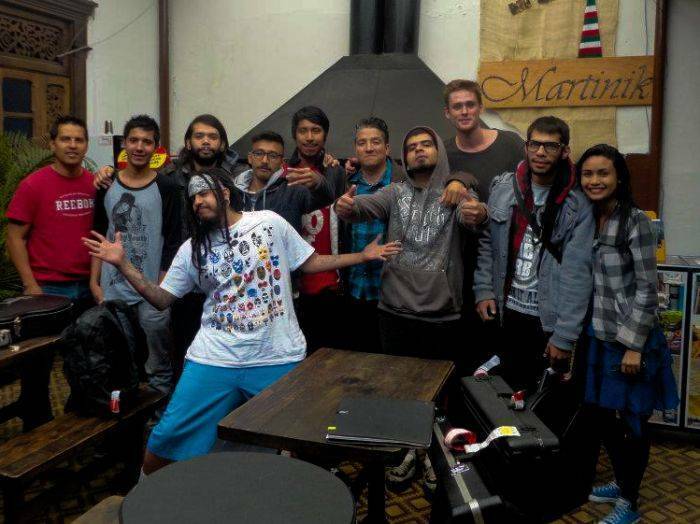 Welcome to one of the best hostels in Bogotá, Hostal Martinik!